Roasted chicken in Syria is like a pretzel in New York City, there is a vendor on almost every street. It is usually roasted on a stick and very delicious. I will show you today how to roast the chicken in the oven. It will taste great! 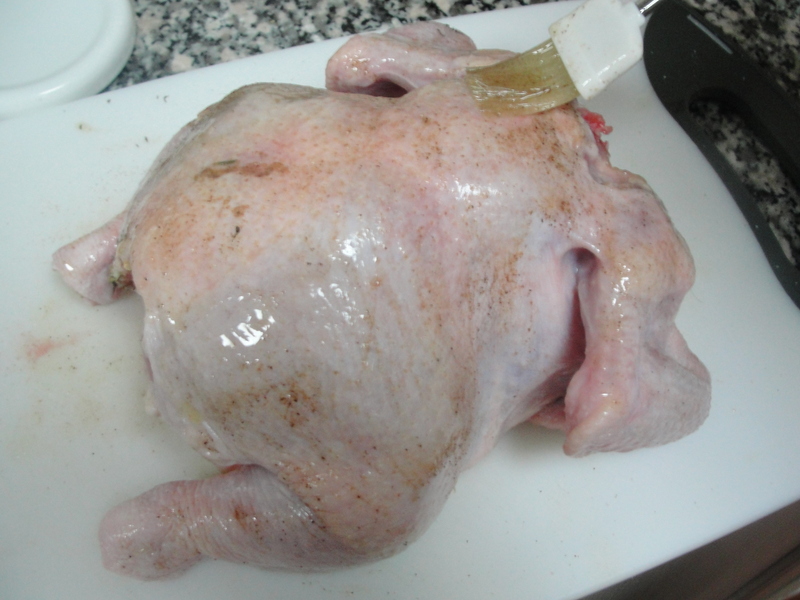 Clean the chicken by removing the neck and the guts, then add salt and water to clean it. Let it drain until it is all dry. If needed, wipe with paper towel to dry. Stuff the chicken with one tablespoon of butter, half lemon, 2 cloves of garlic and some oregano and thyme. Put some salt and pepper on the outside of the chicken and brush with olive oil then spray some oregano and thyme on it. Bake at 450F/250C for 45 minutes. 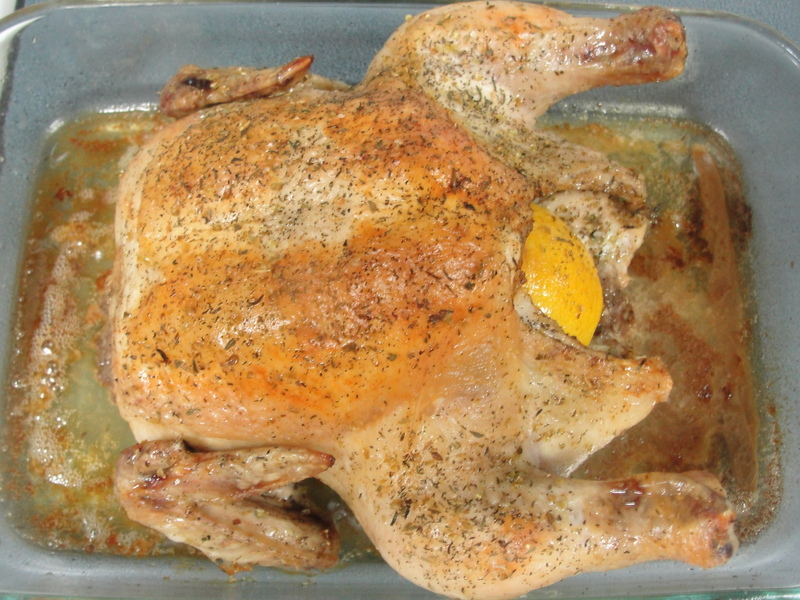 Take the chicken outside the oven and let rest without touching for 15 minutes then serve. 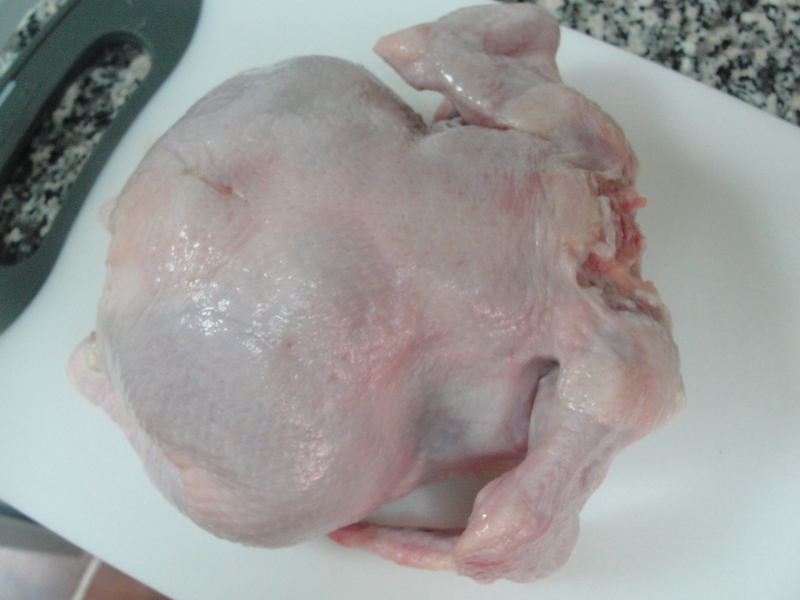 This entry was posted in Chicken and tagged Chicken, Gluten Free, Low Carb. Bookmark the permalink.